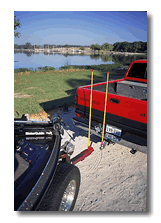 Hitchin' Rods are the easiest way to end the hassle of trailer hook up. No more dented bumpers and license plates. No more bothering your spouse or a friend to help. 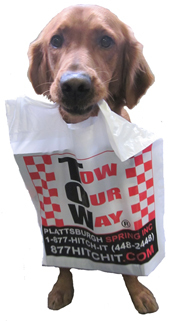 Trailer hitch alignment is now a snap using the Hitchin' Rods hitch guide system. NOW WITH NEW SUPER STRONG MAGNETS!! Join the thousands who have said, "Why didn't I think of that." The original Hitching Rods. Imagine this! Two rods, 4 feet long, with magnetic bases. Put one on the ball. Put one on the front of the trailer. Line them up in your rearview mirror as you back up. When you see the one on the ball move....STOP. 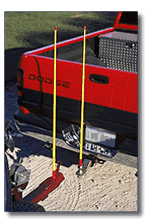 Get out and drop the trailer on the hitch! Hitchin' RodsTM make that a reality. It's simple. The original Hitching Rods. It works. It's that easy!